args="ro rhgb quiet nokaslr console=ttyS0,115200"
echo "[-]Download $name to $dl_dir"
echo "[-]$(date) Create $name srpm"
echo "[-]$(date) Success build $name srpm"
echo "[*]$(date) Fail build $name srpm"
echo "[-]$(date) End $name srpm"
echo "[-]$(date) Build $pkgname start"
echo "[-]$(date) Rebuild $pkgname success"
echo "[*]$(date) Rebuild $pkgname failed"
echo "[-]$(date) Build $pkgname end"
Branch 'f29' set up to track remote branch 'f29' from 'origin'. masami@saga:~/fedora-bash (build-test %)$ mock -r /etc/mock/fedora-29-x86_64.cfg --buildsrpm --spec ./bash.spec --sources=. --resultdir=. 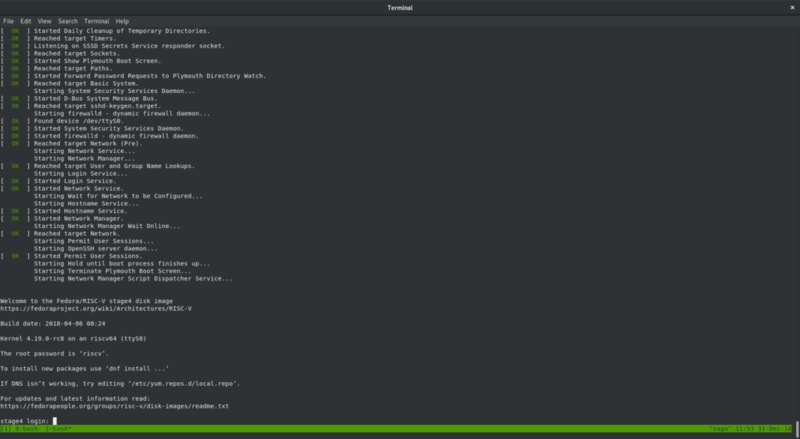 [  155.906829] open_test: loading out-of-tree module taints kernel. Breakpoint 1 at 0xffffffff812ad830: file fs/open.c, line 1049.